Knowing the garden centres were holding sales of Christmas items we decided on the spur of the moment to upgrade/add to some of the decorations at the Lodge. Visits to 2 garden centres were on the agenda as well as calling in to the cash and carry for supplies for the Lodge. Purely by coincidence we found part of what we wanted at each garden centre. 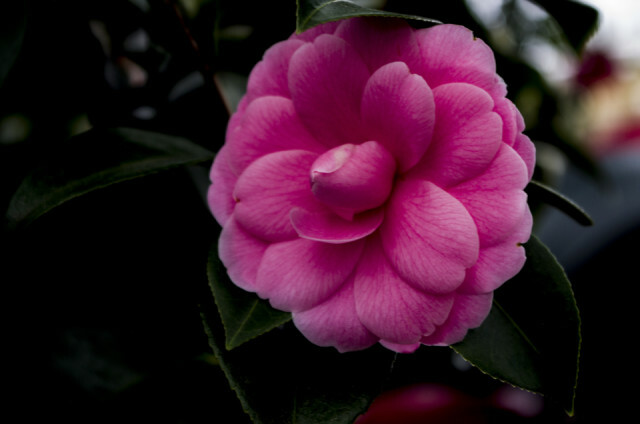 While wandering round the first centre I spotted this Camellia. I don't know its species or variety but I can guarantee it isn't Camellia sinensis as that is the tea camellia. There is dispute over the actual number of different species some where between 100 & 300 with around 3000 hybrids.